I have long legs. In general, I’m thankful for that. Without them, I’d be pretty short. It does make it an issue at times driving roadsters. Usually, my seat has to recline to the point that the seat is rubbing against the plastic panels encasing the frame of the car. 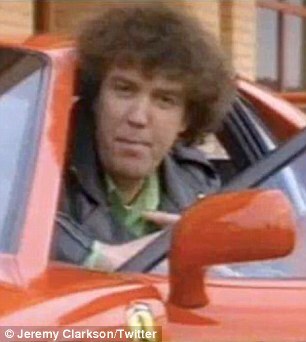 It’s an affliction that I and Jeremy Clarkson, unfortunately share. That being said, I used to be bothered by most office chairs. At the highest setting, they weren’t high enough. For years, I was told by retailers that the only solution was to buy “big and tall” chairs. I just put up with it. Thanks to the internet, and standardization of goods, there’s now a more elegant solution: Simply get a larger gas cylinder (also known as a gas lift) for your chair. The mechanics of these are pretty simple: Your chair either has a bar or hydraulic switch. When you push down on the switch, while sitting, the weight on the cylinder – combined with pressing the release valve (via the switch) lowers the chair. When you are not sitting in the chair, and press the same release lever, the gas cylinder rises instead. The good news is, nearly all chairs – with the exception of a few like Herman Miller chairs – use a standardized gas lift cylinder. So, all you have to do, is buy a larger one. This used to be a rare piece of unobtainum that was bundled with “big and tall” chairs. No more. Finally, if your chair is sinking – guess what? Same problem. These gas cylinders work just like shock absorbers. And just like shock absorbers, they are on borrowed time from the first use. Here is the one that I recommend currently. I’ve deployed it on all my chairs, and with some installation difficulties all was well. First, this is best done with a pipe wrench. You need to twist the existing gas cylinder off. The tighter the grip, the less force you need. If you have a good pipe wrench, most people would just be able to give it a tug. Now, odds are, you don’t have a pipe wrench. A regular wrench with a 2-inch wide opening should be able to grip it… but you will need more force. Also, it helps if the chair has a soft side that you can rest against a wall. This will give you more leverage, with less risk fo the chair hauling off and hitting you – or a wall next to you… or the door next to you (no, I didn’t kick it – ahem). So it’s safe to say, this is not without some difficulty. But, the rewards are worth it. Oh, and many replacement gas cylinders come with a plastic cover cap. This cap is meant to protect the release valve button. Unfortunately, it looks exactly like the release valve button. The seller that I linked to above has actually started sending out emails alerting to this… alas, it got stuck in my spam folder. I’m glad that you mentioned that it’s quite difficult but definitely worth it. My brother is looking to install a gas cylinder lift but doesn’t know how to do it. I’ll be sure to talk to him about the difficulty and to talk about finding a professional to do it. Awesome and very informative article. People have different height and thus different requirement when it comes to chair.I found this article while searching for adjustable chairs.I didn’t know that there is something like this.Moding the chairs is completely a new idea to me. Thanks a lot This ended my search for height adjustable chairs.